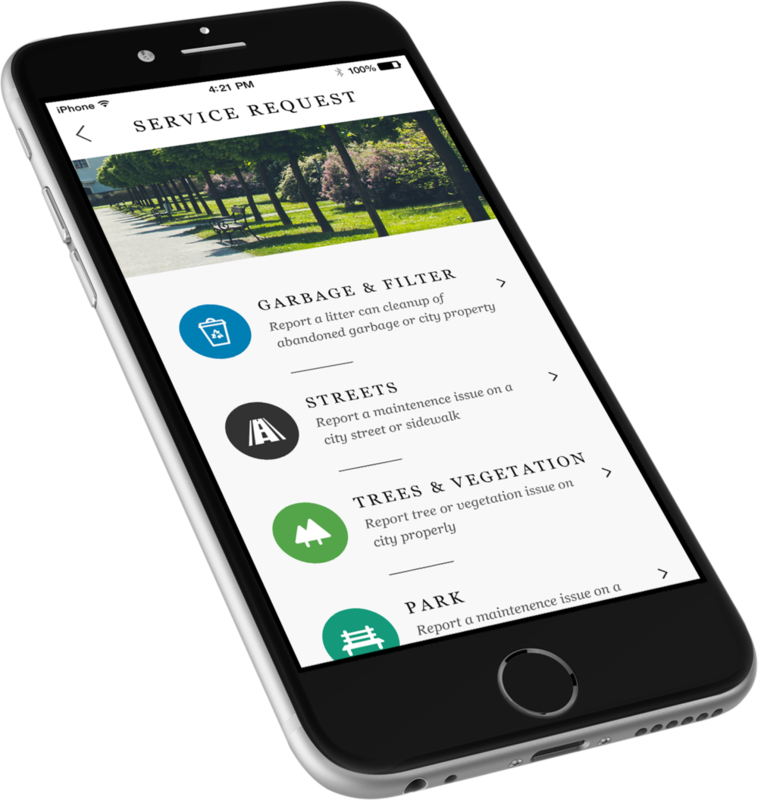 The City of Victoria is a smart city, and it needed an app to match. A place where citizens and tourists could not only access city information and services, but where locals could also rediscover the wonders of their own home. A revolutionary new type of interface we like to call "CityApps", ConnectVictoria is the first of it's kind. It allows citizens and government employees alike to interact with their city like never before through a multitude of exciting features. So here's to giving municipalities, big and small, a way to engage, connect, and interact with citizens in a meaningful way. Heres to connecting us, Victoria. It was FreshWorks CEO Samarth Mod that first came up with the idea behind ConnectVictoria. He attended multiple mayor drop-in sessions over a three-month period, in order to understand the problems within the city that could potentially be solved with a smart CityApp. He assisted the city staff in the facilitation of focus groups to determine the desired features and functionalities of the app, and reviewed the current City of Victoria website analytics to get a better understanding of existing web traffic. 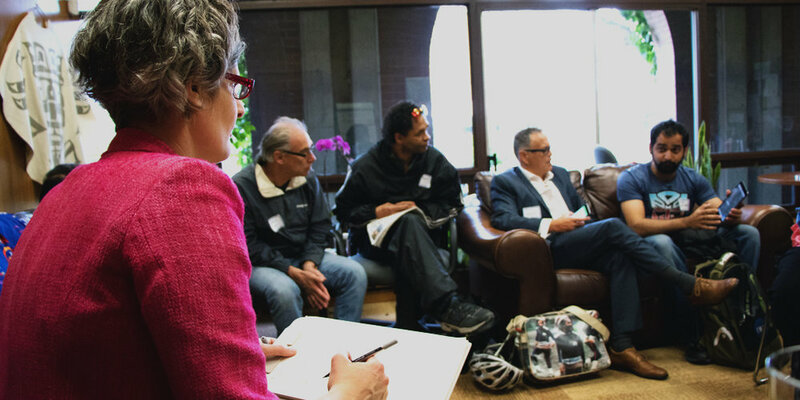 Once the requirements had been gathered, ConnectVictoria went from an idea into action. Any programmer or developer knows, that no app can exist without the UI/UX design behind it. In the first stages, all of our apps look like this: rough sketches on pieces of scrap paper (or whiteboard), outlining the flow of the application, and general buttons and navigational properties. ConnectVictoria was no different. Once wireframes were done came designs, and later, the development of all of its fabulous features. Each and every city has a story to tell, and Victoria is no different. The image slider in the attractions feature provides a visual experience of carefully chosen attractions which helps engage audiences like never before. Here you can see a centralized collection of all of the fantastic beauty, landmarks, and tourist destinations your city has to offer. It was Victoria locals that chose the 15 beautiful spots featured in the apps Attraction tab, allowing the city to directly showcase it's favourite destinations. Each attraction is complete with a unique description, high definition images, and an interactive map and street view to further enhance and satisfy your exploration needs. Imagine this scenario: Alice sees a new pothole in her area that likely hasn't yet been reported, but causes stress to her daily commute. Alice now has to google the proper contact for her city, potentially wait hours to finally speak to the correct representative, and finally file a service request over the phone. But no more. The Service Request feature of ConnectVictoria empowers residents to streamline the issue of reporting and tracking service requests in their city, using modern technology. This feature reduces missing information often associated with issue reporting, and provides better efficiency in the response to city problems. Users of the app can specify their location and also provide audio-visual information regarding issues in the city that is compiled in a real-time PDF document sent directly to the appropriate municipal departments, bypassing long holding waits and freeing up municipal employee time all in one, clean feature. While compiling research for the ConnectVictoria app, here at FreshWorks we found that most locals use the current City of Victoria website to access the Careers & Events feature. In order to digitalize and streamline this current process, we made it a priority of ConnectVictoria, and decided to devise a way to eliminate the duplication of data entry. ConnectVictoria was built using an in-house software from scratch, whose job is to fetch real-time data directly from the City of Victoria website. What this means is that all information you view on our app, is always current and up-to-date with the city's website. To circumvent any privacy issues, nothing is stored on the device or in the apps database. Moral of the story is: keep using your favourite feature without worrying about laggy or unsafe information. We got you covered. Connecting with local government employees and their departments has never been easier. With the ConnectVictoria app, complete contact information for municipal employees can be found simply and efficiently on your mobile device. Users can also take advantage of the native features of their smartphones by clicking on the app icons (like the phone icon) and directly call or email employees without having to go through the main switchboard. The Mayor/Council section of the application has the potential to also eventually include council meeting minutes and/or host monthly interactive sessions with citizens right from within the app. ConnectVictoria is the app that keeps on giving. On top of the aforementioned features, the app includes a news stream, which fetches real time data and makes use of in-house technology to provide users with the latest and greatest media coverage in the Victoria area. It also contains a contact page for user feedback, and access to all of the City of Victoria's social media links. The first of its kind, ConnectVictoria is currently the only instance of "CityApps" (for now) ~ apps that better connect citizens, governments, tourists, and locals alike to the fantastic places they call home. With ConnectVictoria, citizens are empowered to interact with their environment in new and exciting ways. Download ConnectVictoria for free today from your phone's native app store!